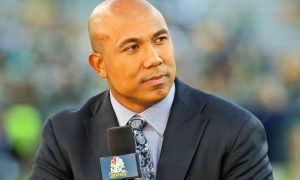 Former Pittsburgh Steeler star Hines Ward has been announced as one of the newest editions to the employee list of the popular television channel, CNN. He will be taking his talents from off the field onto the screen as a regular contributor for the network’s show, “Morning Express With Robin Meade” as well as an analyst all across the different programs and platforms. This second career of his will begin on July 1, and he couldn’t be more excited to join the crew in this venture. Hines commented that he is looking forward to sharing more of his views and opinions on the television network and is hoping that it’s truly the perfect fit for a long term working environment. The South Korean-born athlete was born to a African American father and Korean mother, and grew up in the Atlanta area where he was able to showcase his athletic abilities during his high school years. He ended up attending the University of Georgia where he played for the Bulldogs for three years and even totaled the second most amount of yards in the school’s history as a wide receiver. In addition to football, he was also a great baseball player and was drafted by the Florida Marlins in 1994 as a result of that. However, he waited to enter the 1998 NFL Draft where he was selected in the 3rd round by the Steelers, with whom he stayed with for all 13 years of his football career. Hines will now be seen on television on a regular basis as he was hired by CNN to be a contributor for the popular morning show as well as an analyst for other programs across the station. This will be a good chance for him to grow a second career in a new way with another one of his passions.